Super Magazine Sale – Real Simple, All You, Rolling Stone & More! Magazines make great gifts and these are the best prices I have seen on may of these magazines! For a limited time, get a OK! Magazine Subscription for just $12.99 or less for the whole year!! Use coupon code BARGAINSHOPPERMOM to drop the price. You can get up to 3 years at this discount. That works out to just $.16 – $.24 an issue! If you buy more years you can SAVE the most. A three subscription includes 156 issues. That brings each issue down to just $.16 each!!!! This is a steal!! This is a great magazine to throw in your bag for travel, the pool, etc. and you can not beat this price! There is a crazy good rare 4 Hour Offer at DiscountMags.com. Every single magazine is 40% off with no exclusions! This sale though is only good for 4 HOURS ONLY today (8/6/14) from 1:00 PM EST to 5:00 PM EST. This is a great time to renew any magazines or even buy some gifts. I love that Discount Mags does NOT auto renew your subscription like other sites. You will need to use the COUPON CODE: FLASH40 to receive the 40% off. Feel free to browse now and then go back from 1-5 EST to checkout. You may want to set an alarm so you don’t forget. This is a great time to pick up those magazines that rarely are discounted. My girls love Discovery Girls Magazine and with the 40% off this is the best price I have seen. This offer expires at Monday 05/05/14 11:59 PM EST. This is a great deal because the Food Network magazine is $19.99. That makes the deal like getting the Weight Watchers Magazine for FREE! A food lover’s essential handbook, Food Network Magazine, is packed with inside scoops & tips from everyone’s favorite celebrity chefs. Get the latest on new kitchen tools, food products, recipes, & more in this subscription full of articles highlighting the best in food and restaurants! Weight Watchers Magazine is the perfect companion for women or men who are dedicated to their health and fitness goals. Issues of Weight Watchers provide great quick-recipe ideas, seven-day menu plans, exercise tips, and other great health and lifestyle advice that can help the reader stay on track. It also has many food coupons inside. Grab the Food Network & Weight Watcher’s Bundle Today! Amazon $5 Magazine Sale – Lots of magazines for just $5! Some of these are annual subscriptions and some for shorter periods of time. So be sure to check the subscription length. Here is a great multi year magazine sale. You save more when you order more years. There are lots of different categories from which to choose the magazines. There is something for everyone including men, women and kids! 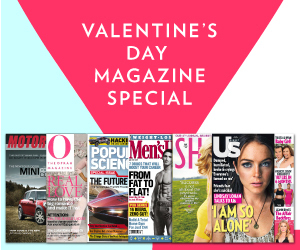 All You Magazine Sale – Just $5 for the Year! This amazing sale ends today 3/31/14. Be sure to pick up your copy today! Looking to get some exclusive coupons and lots of money saving advice? Then you will want to be sure to Get 1 year of ALL You for just $5- the lowest price ever! When you clip the coupons from this magazine it ends up paying for itself. When you get 12 issues for only $5, that is less than $0.42 per issue! The total savings from this month’s coupons will more than pay for the subscription. 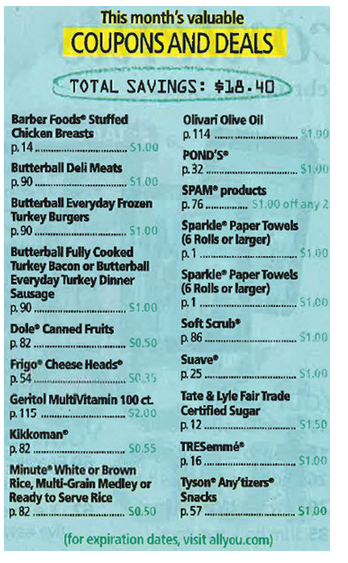 You can use the Coupon Database and search by magazine coupons and all you for the search term to see the many many coupons available in All You magazine. Here are a few from this month. Get 1 year of ALL You for just $5- the lowest price ever! There is a huge magazine sale that ends tonight, Sunday 03/30/14 at 11:59pm. Tons of magazines are marked down to just $4.80 each! Today only, the Best Deal Magazines Deal of the Day is for Family Fun Magazine for Just $3.99 You can also use the Coupon Code 15SS0316 and save an additional 15%! This brings the price down to just $3.39 for the whole year!!! This magazines also often has Gymboree 20% off coupons inside. This makes it well worth the price of the subscription. Here is a current list of Gymboree Coupons by magazine. If these magazines are not for you, remember you can use coupon code BARGAINSHOPPERMOM to get 20% off of all other titles at DiscountMags! Looking for more magazine deals? Here are a few more. Amazon $5 Magazine Sale – Tons of magazine subscription options for just $5 each! Today only, subscribe to Country Living Magazine for only $5.99 per year (50% off)! You can order up to 3 years at this price! Just enter coupon code BARGAINSHOPPERMOM. This offer expires at Wednesday 03/12/14 11:59 PM EST. Still looking for a Valentine’s Day Gift? A magazine subscription makes a great bargain gift. It shows your love each month when it arrives. These prices are good through midnight on 02/14/14. If this magazine deal is not for you, remember you can use coupon code BARGAINSHOPPERMOM to get 20% off of all other titles at DiscountMags! 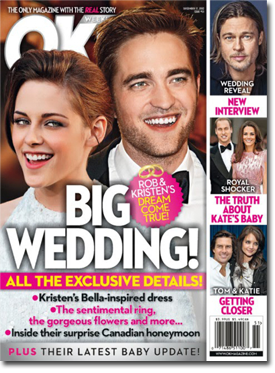 Today only, subscribe to Us Weekly Magazine for only $19.99 per year (70% off)! You can order up to 3 years at this price! Just enter coupon code BARGAINSHOPPERMOM That works out to just $.38 an issue! These subscriptions do not automatically renew so you do’t have to worry about a huge price hike at the end of your subscription. 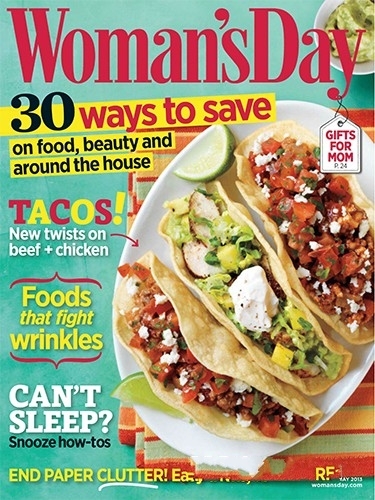 Today only, subscribe to Weight Watchers Magazine for only $4.99 per year (64% off)! You can order up to 4 years at this price! Just enter coupon code BARGAINSHOPPERMOM to see discounted price. This magazine is also a great source of recipes and coupons especially those for Weight Watchers products. If you have been thinking of signing up for Weight Watchers, There are some specials right now. You can get Get Unlimited Meetings & Free eTools with Monthly Pass (in participating areas) or you can save on Weight Watchers Online – Follow the Plan Entirely Online. Today only, subscribe to Yoga Journal & Allure Bundle Magazine for only $8.99 per year (66% off)! You can order up to 3 years at this price! Just enter coupon code BARGAINSHOPPERMOM. This offer expires at Wednesday 01/22/14 11:59 PM EST. Disclosure: This post may contain affiliate links which won’t change your price but will share some commission. Magazine Sale – 2 for $8 – Great Bargain Gifts! Here is a big magazine sale. 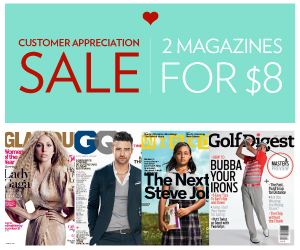 Get 2 magazine subscriptions for just $8! These make great bargain last minute gifts for those hard to buy for people. Look at the many categories of magazines included in this sale! There is no auto renewal on these subscriptions. This sale ends 12/15/13 at 11:59 pm EST. Just select “this will be a gift” after you make a selection and you can send specific magazines from your bundle to a separate mailing address and even add a personalized gift note. 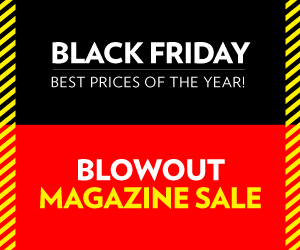 Black Friday Magazine Sale – So So Many Magazines! Magazines make great bargain gift. Check out this magazine Black Friday sale. There are so so many magazines on sale. All categories and types. There is a great kids magazine sale going on today. Don’t forget that magazines make great bargain gifts. My girls love getting their own magazine in the mail each month. 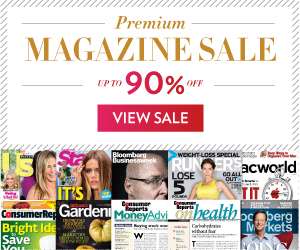 Premium Magazine Sale – Great Bargain Gift! Need your celebrity gossip fix? Then you want to check out today’s magazine deal for Star Magazine. Today only, subscribe to Star Magazine for only $9.99 per year (87% off)! You can order up to 3 years at this price! Just enter coupon code BARGAINSHOPPERMOM. You will not see the discounted price until enter the BARGAINSHOPPERMOM code. There are no shipping or handling fees and you do not have to worry about automatic renewals. Grab Star Magazine on Sale Today! 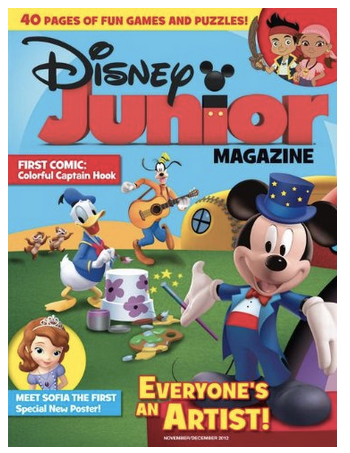 There is a great kids & parents magazine sale today with prices starting at just $3.99 for a year subscription! My favorites include Family Fun and Parents magazine. Both these magazines also often have Gymboree and Crazy 8 20% off coupons inside. This makes it well worth the price of the subscription. Here is a current list of Gymboree Coupons by magazine. We also love Discovery Girls magazine at our house too and this is a great price. This is a great magazine for tween girls. This sale expires at 11:59 PM EST Sunday, September 8th. Here is super deal on Parents Magazine. You can grab a 2 year subscription to Parents magazine for only $7.99. Usually, the best deal I ever see is $4.50 a year and this is just $4 a year! So this is a great time to buy PLUS you also receive an Ultimate Birthday Party Planner FREE with your paid 2 year subscription. The price is so low on this subscription it is like getting a whole year’s worth of magazines for the cost of under two issues at the store. 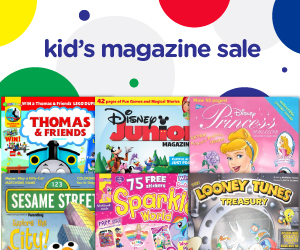 These magazines also often have 20% off Gymboree family of stores (Gymboree, Janie & Jack & Crazy 8) coupons making it an even better deal! These coupons all have their own unique online codes so you need the actual coupon to get the discount online or in store. That is why it is a great idea to subscribe to this magazine when it is at rock bottom sale price. How can you beat $4.00 for a whole year’s worth of magazines and coupons!? A 2 year subscription is just $4.50 (84% off) with code BARGAINSHOPPERMOM. That is just $2.25 a year!!! These magazines do not have auto renewal so no need to worry about canceling. Parenting magazine often contains 20% Off coupons for the Gymboree family of stores. If you shop at any of these stores, an annual subscriptionpays off in no time at all! If you are in the market for other magazines, remember you can use coupon code BARGAINSHOPPERMOM to get 20% off of all other titles at DiscountMags! Magazines subscriptions make great bargain holiday gifts!! Today only, subscribe to Parenting (Early Years) Magazine! All You Magazine for Just $1 an Issue! Kiwi magazine helps parents to raise children in the healthiest way possible through natural and organic family living choices. 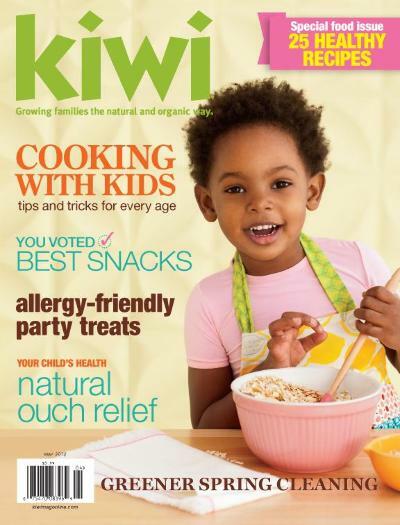 Kiwi features the safest and most nutritious food choices, family wellness tips, practical travel destinations, and fun environmental education projects. Today only, subscribe to Bridal Guide Magazine for only $4.50 per year (54% off)! You can order up to 3 years at this price! Just enter coupon code BARGAINSHOPPERMOM This offer expires at Monday 05/13/13 11:59 PM EST.